Toei unveils the title and poster for the upcoming Build Movie! Entitled "Be the One", the movie features a post-war story, where all three factions are trying to recover. In the trailer below, we also finally get to know the identity of the new rider, Kamen Rider Blood! 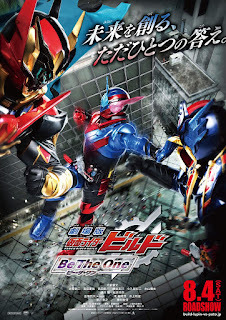 Kamen Rider Build: Be the One hits theaters in August.